Michigan Barbed axe found in Nashville, Michigan. The axe is 8 1/2 inches in length and 4 inches wide at the barb. From the collection of Douglas Ayles. 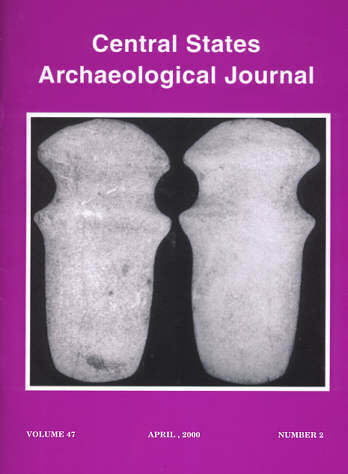 It was chosen by the officers of the Wolverine Archaeological Society, to represent the state of Michigan on our cover.